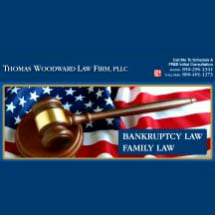 Based in Tallahassee, Florida, Thomas Woodward Law Firm, PLLC, provides personalized legal services in the areas of bankruptcy, asset protection and family law. Attorney Tom Woodward has been in private practice in Tallahassee since 1976, leveraging his extensive legal knowledge and experience to bring his clients financial relief and resolution of challenging family matters. Debt problems can be caused by many things, including income loss, divorce, medical issues and excessive mortgage obligations. If you are being harassed by collectors or threatened with foreclosure or vehicle repossession, or if your wages are being garnished by your creditors, you may feel stressed and burdened. Bankruptcy may be in your best interest. If you are seriously considering bankruptcy as a solution to your problem, attorney Tom Woodward can provide guidance regarding your rights and options. If a bankruptcy will help you reach your goals, Tom can represent you in a Chapter 7, Chapter 13 or Chapter 11 bankruptcy filing customized to your situation. Tom Woodward can help you eliminate unsecured debt from credit cards, personal loans, lines of credit, medical bills, payday loans and utility bills through Chapter 7 bankruptcy if you qualify. If your goal is to keep a house or vehicle or another important asset, or if you do not qualify for Chapter 7, Tom can help you utilize a Chapter 13 filing that will stop foreclosure or vehicle repossession and establish an affordable payment plan for your debts. In addition to services related to Chapter 7 and Chapter 13 bankruptcy, our firm also provides advice and representation in Chapter 11 reorganization and proactive asset protection and risk management. In addition, we serve clients in family law matters. Contact Thomas Woodward Law Firm, PLLC, to learn more.